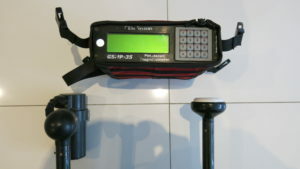 Used GEM Systems GSMP35 Potassium magnetometer with GPS for sale (SOLD) - Modern Mag • Accurate, safe and reliable ground magnetic surveys. GEM systems sales. Modern Mag • Accurate, safe and reliable ground magnetic surveys. GEM systems sales. 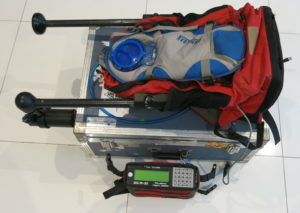 We have for sale a used GEM Systems GSMP35 potassium magnetometer with GPS and navigation. These are the best magnetometers money can buy. They are ideal for gold, base metals, iron ore, mineral sands, UXO and archaeology. 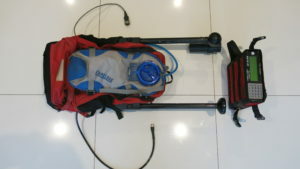 It comes with a lot of spares and a premium backpack with carbon fiber poles. [Update] This item sold to an Iron ore exploration company that rented it and really really liked it.